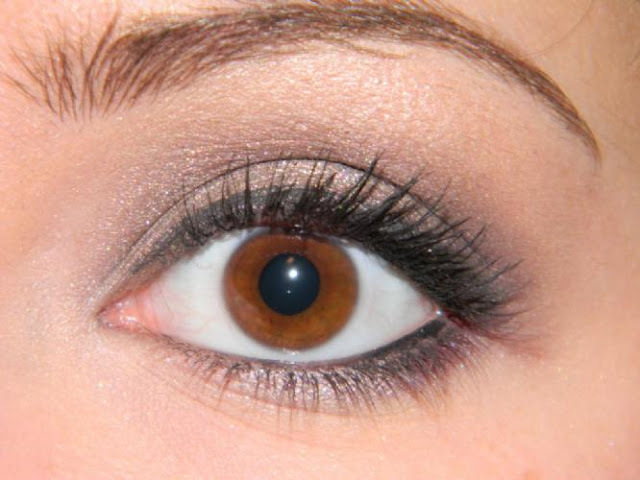 I absolutely love using my bare escentuals "night owl" glimmer. I received this as part of a Sephora VIB gift a year or two ago and have been in love with it ever since. 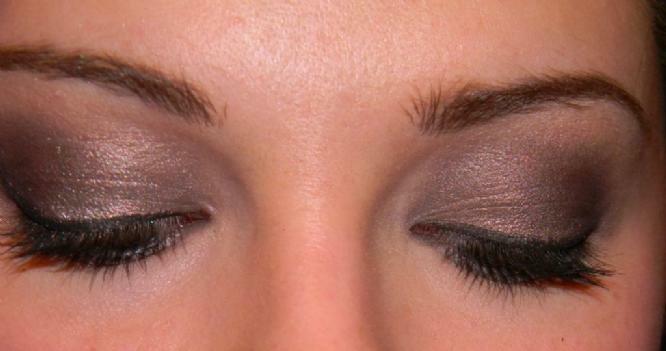 It's a really gorgeous shimmery grey amethyst color with a touch of brown. It usually pulls more grey, but for some reason over my benefit skinny jeans the color turns into a much darker taupe-y brown with a touch of purple. I will do some swatches for it later, but it's a beautiful shadow if you can get your hands on it! 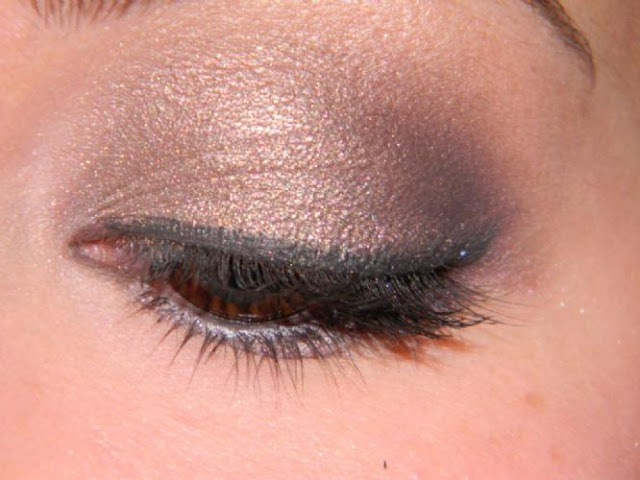 Then I just added a little too faced lap dance (from the Naked Eye palette) for a little dimension on the lid! gorgeous! may i ask what brush you use for your outer v? for years i did this with no problem, now all of a sudden i am hopeless! thank you! i use a mac 219 to place color in the outer-v, then a mac 217 or my sonia kashuk blending brush (you can really use any blending brush) to soften the color. I couldn't get the hang of shaping my outer-v until i got the 219, every other brush was too big and made my placement look so sloppy! Gorgeous! You should have a YT channel and share your expertise. The colors you choose and placement techniques are outstannding. Love the look.